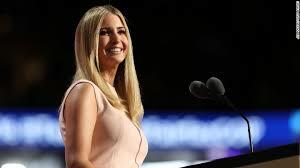 People close to Ivanka Trump said that she sees nothing unusual about the arrangement — it’s simply how she has worked with her father for years, as a senior official at the Trump Organization and as Donald Trump’s partner on “The Apprentice.” But in the White House, the unprecedented arrangement for a child of the president has raised new questions about potential conflicts of interests — and about why Ivanka Trump can’t simply join the administration as a government employee. Her husband, Jared Kushner, serves as an official senior adviser in the White House and was sworn in, but his hiring also raised questions of whether it violated anti-nepotism laws. The Justice Department ruled that those laws only applied to agency appointments.